A copyright protects the particular ways by which people express themselves. In simple terms, copyright laws gives an owner the exclusive legal right to reproduce, publish, sell, or distribute an original creative work. A work is original if it is not copied from some other preexisting work. And a work can be original without being novel or unique, so it can be very similar to someone else’s work as long as it has not been copied. The copyright notice is the circled c ©. It is not required to be on your materials, but it informs the public you are taking your rights seriously and that you are willing to protect them. Systems such as processes you would depict in a flow chart or methods on how you gather data, etc. Why do you need to register a copyright? It establishes a public record of the copyright. This gives a date of the existence of the copyrighted material. 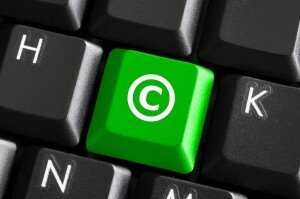 A copyright must be registered in order to take legal action against an act of infringement. If registered within three months of publication or before an infringement occurs, statutory damages of up to $150,000 plus attorney’s fees can be awarded, even if the actual damages are minimal. If registered within five years of publication, the registration certificate is legally sufficient evidence of the validity of the copyright. What are the risks of not registering a copyright? There is no presumption of validity. You cannot initiate a law suit until you are registered, and you will not be entitled to statutory damages. This is significant because many times it is hard to prove actual damages. You will have to prove ownership of work on the date of infringement- basically you have to prove the date of creation. When should something be registered? As soon as possible to get all the benefits of protection. Ideally you want to register before you publish or at least within three months of publication. But you can register your intellectual property copyrights any time. With a later registration you risk losing the opportunity to be awarded statutory damages in law suit. Online is recommended because it is faster and cheaper, just complete the eCO form and submit an electronic copy of your work. Or you can do a hard copy deposit instead. It’s important to note that the practice of sending a copy of your own work to yourself is sometimes called a “poor man’s copyright.” There is no provision in the copyright law regarding any such type of protection, and it is not a substitute for registration. How long does copyright protection last? For works created after January 1, 1978, copyright protection lasts for the life of the author plus 70 years.